For almost as long as Gary has been referring to himself in third-person, he’s been creating simple but invaluable pieces of Xara designs, in Xara, and saved in in Xara’s XAR file format. And some complex designs, too, but Gary is digressing. 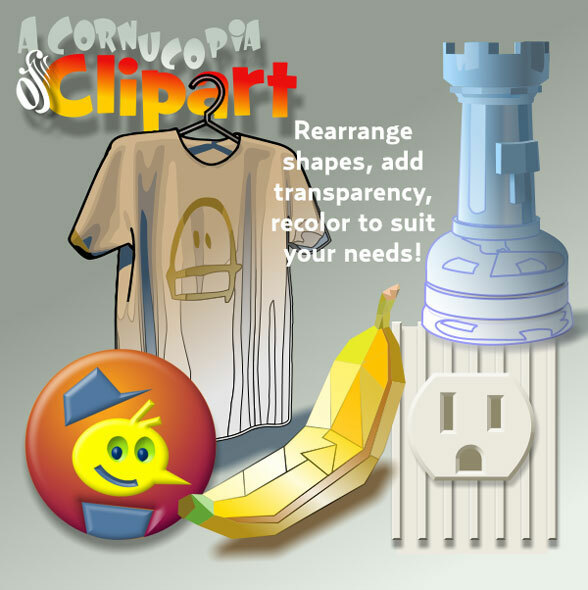 The ClipArt Cornucopia™ features 49 original designs (as far as he knows), and because no bitmaps were used, you can scale, Mould, and generally mess around with FX on the designs to make them anything you need or want for a project, a clingy for the back window of your energy-efficient auto, for protest rally signs, the possibilities are endless…but the price isn’t! 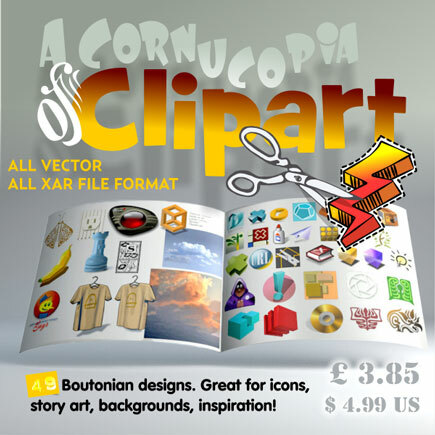 Get your cursor around this terrific volume of Clip-Stuff. You’ll be glad you did. But not as glad as Gary. 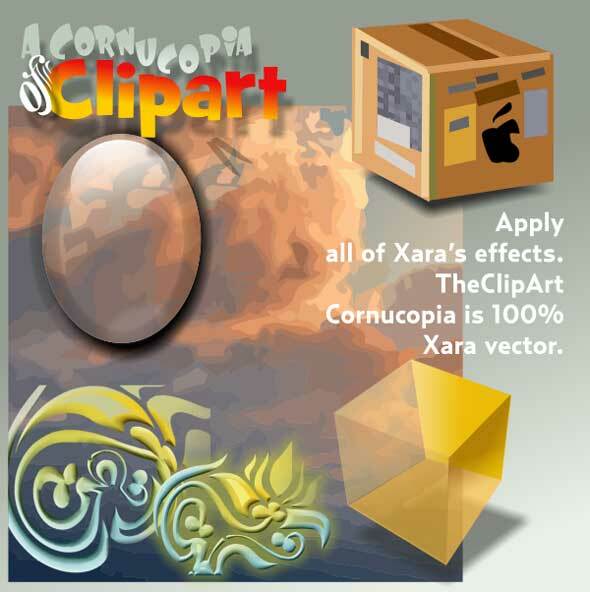 Volume 1 of the Clip-Art Cornucopia™ consists of about 50% drawings of icons and very simple symbols. Don’t limit yourself to this definition, though. Extrude them, recolor them, make High Art for art that’s already fairly tall. There’s an optical illusion that’s made of named colors so you can recolor it in .34 seconds, two handsome skies for your airplane or UFO background, there’s product mockups and even a photorealistic piece or two. This is the way it goes with a Cornucopia horn, a Boot Sale, a Flea Market, whatever you choose to call a real steal. It’s a mixed bag of creativity, and the bag should be 80 lb. recycled with a 3¼” gusset, but it’s really what’s inside that counts. Volume 2 is coming Summer 2017, right after Gary sees the latest Thor movie for inspiration.